One of the most popular mobile production company "BlackBerry" is going to Introduce its new smart phone "Z10". 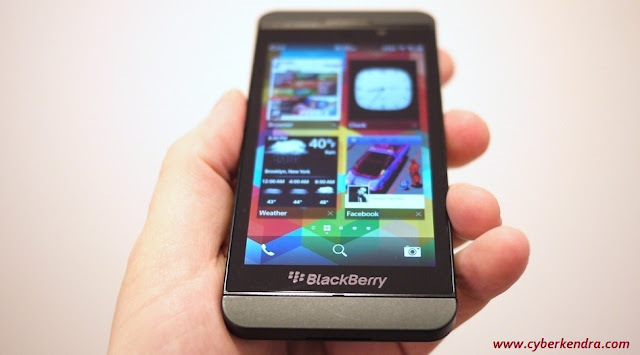 This is awesome gadgets of 2013, which was introduce by the BlackBerry. After launching the Z10 into the market Blackberry have given the competition market to the Apple I-phone 5 and Samsung Galaxy S3. There are many features in which Z10 is ahead of the I phone 5 and Samsung Galaxy S3 and some feature are compete with each other. For Z10 BlackBerry have launched there new operating system name as BB10. Critics are thinking refreshing to its features, but the less availability of its apps is also another reasons. On other side Samsung Galaxy S3 is based on Android 4.0 Ice-cream sandwich and I-phone runs on i-OS 6. All these operating system is quite stable and there apps are become popular also. Hence by this there will be difficulty for the BlackBerry. On BlackBerry Z10, there is a display of 4.2 inch. which have a resolution of 1280 *768 pixel. It come with 365 pixel per inch (PPI). On the basis of screen resolution Z10 is better than I-phone 5 which have a display of 4 inch and have resolution of 1136*640 which have 326 PPI. Galaxy S3 have 4.8 inch display and resolution of 1280*720 which is 360 PPI. As there is expectation that Apple and Samsung are launching there new upgrade version of their gadgets this year. BlackBerry Z10 have featured with the 8 megapixel rear camera and 2 megapixel of front camera. Users can record the video from the rear camera having a resolution of 1080 pixel and from front camera can record the video of 720 pixel. BlackBerry Z10 is available with the 16 GB memory, and which can be extended to 32 GB with the help of micro SD card. BlackBerry Z10 have a Dual core processor, which works on 1.5 GHz and 2 GB RAM. BlackBerry Z10 is featured with the 4G LTE technology, NFC and Bluetooth 4.0 version.